Today we are happy to feature a guest post from the authors of THE FAMILIARS, a middle grade novel arriving in bookstores September 7th. 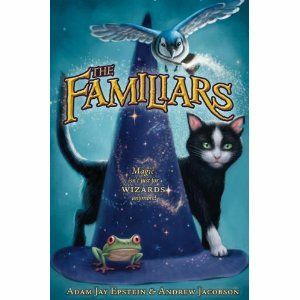 THE FAMILIARS is a rollicking story set in a richly detailed world, full of danger and courage, excellent characterization, and moments that made me laugh out loud. I liked each of the three familiars for their unique personalities, struggles and triumphs and look forward to the next installment in the series. Be sure to check out the book trailer at the end of the post, as well as the hilarious author video that follows. One of the questions we most frequently get asked since becoming authors (after 10 years of screenwriting) is, “What’s the difference between writing books and writing for film?” Our answer: the chandelier. As screenwriters you learn that economy is key. It’s telling a story with a minimum amount of words. Writing a blueprint that will become richer once it’s brought to screen. When writing about an interior location, if you ever find yourself describing the chandelier, you’re in trouble. Because unless that chandelier is crashing down to the floor, you’re writing too much. That’s a production designer’s job – deciding if it should be metal or crystal, electrical or candlelit. But in a book, it’s all chandelier. That’s your job. Being the costume designer, production designer, hair, make-up, the actors, and the director. No description is too elaborate. Another major difference between being an author and a screenwriter is that as a screenwriter you are far more disposable. A studio can hire you on for a project and then move on to other writers when you’re done, even if you did a great job. We’ve been on both sides of that equation, rewriting others and being rewritten ourselves. The film business views writers as cogs in a much bigger machine, which they are. In books, the author is as much the product as the books themselves. You may read every book by a favorite author just because their name is on the title. But an author is treated with – dare we say it – respect! Now what’s interesting is that in adapting our book to the screen, the film studio (Sony Animation) has been treating us more like authors than screenwriters. They have been hugely respectful of us, like no other film project we’ve worked on previously. 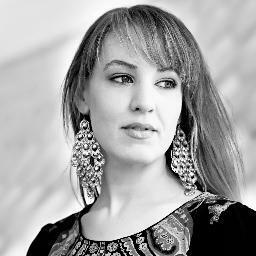 The truth is, we wouldn’t give up either hat – screenwriter or author. It’s like an athlete that plays two sports. You might use different muscles, but each makes you sharper. What sounds better: screenwriter/author, or author/screenwriter? You tell us. Learn more about “The Familiars” at www.thefamiliars.com. Very cool perspective-- one I haven't seen a lot of. Thanks for the guest post, Adam and Andrew! Definitely cool to see how the writing differs. Thanks for an awesome post!